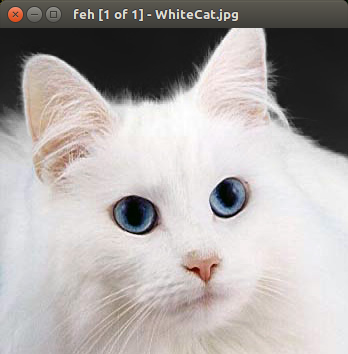 Feh is probably the fastest and the most minimal image viewer on Linux. You might want to try it if you need to open and browse through images quickly on even the slowest computers. You can set your own keyboard shortcuts by creating the file ~/.config/feh/keys. An example configuration file can be seen here. The config options can be seen in man feh. --geometry 1920x1080: Start in a window of the specified size. Note that there is no option to open in a maximized window. You can associate it to the default image viewer for all types of images. If you find that it is not appearing in the Open With menu, then open /usr/share/applications/feh.desktop. Add %U to the Exec line. When you open an image in your file explorer with Feh, it only displays that image. You cannot move to the previous and next image in that directory. If you want Feh to act like an image browser, use the script provided here. To associate this script with your file explorer, first add it as a main menu entry and then find it in the Open With dialog. It does not auto-rotate images to match their EXIF orientation. Since most images are photos generated by cameras or smartphones, not having this feature is a deathblow. I cannot rotate my head while browsing a directory of photos. Manually rotating the image modifies the image! You can rotate the image by 90 degrees using “, but it actually writes back the rotated image to file! There is no option to just rotate for viewing! This combined with Feh not supporting EXIF rotation tags is a deathblow.